Buckeye Game Fest 2013 is over and done for me and I had a blast for my third straight year. 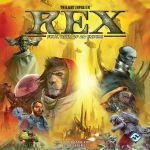 This year I attended Wednesday through Saturday and I played almost a new games. At least they were new to me. This is a list of those games. The first of many for the con and my first time playing FFF. This was an eight player game using the multi-board rules, and I wound up taking 7th place. I will definitely seek this out again at a future con. This was my follow up to Fische Fluppen Firkadellen for Wednesday night. Again, it was a new for me game and I had a lot of fun. It doesn't hurt that it was my first win of the con. I now see why this game keeps popping up on math trade request lists. I'll be keeping my eye out for a copy of this one. NanoBot: Battle Arena was yet another first play game for me. As you can probably tell from the number of plays, this was my game of the convention. I kept coming back to it when I had some down time since it plays relatively quick. I played in chunks of 3 & 5 on Friday and 2 & 3 on Saturday. Saturday, I even participated in the tournament, but I didn't win. I did receive a great Derpy Games t-shirt though. Now the question is do I order one or two sets. The pre-order ends September 30th so I have a little bit to decide. I recommend people check this game out and keep an eye on Derpy Games. This game was the hotness last year, but I finally got my first run at it on Thursday. I found the game enjoyable, but it didn't light a fire for me like Louis XIV or NanoBot did. I certainly would play it again, but it just isn't "want list" material for me. This was a fun coop game. I would love to play one of the more advanced adventures. It certainly was a blast with the intro scenario where you are trying to build the bonfire. We won on turn 11, barely. This was a lot of fun and while I wouldn't buy it right now, I might consider it after I see a few more games. I have always had a ho-hum feeling about Ascension. I love the iOS implementation, but face to face always was a bit boring for me. This new set adds in an energy component that definitely makes things a bit more interesting. Despite that, Ascension is still probably a game I would rather avoid. It is improving though. After Ascension, my opponent offered to teach me Kingdom Builder, which I was okay with. Boy do I really enjoy this game. I wound up teaching it to two other people on Saturday and then buying the iOS app. If not for NanoBot, this might have been my game of the con. I can see my wife really liking this game. She loves Ticket to Ride (we play it on iOS all the time), but since we play it all the time on iOS and many of my game buddies already own TtR, Kingdom Builder seems like a good alternate. 's games finally synchronized and we could get a game in together. 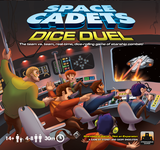 Space Cadets Dice Duels was the first game out of the gates. We gathered up another 4 players and played two six player games. This game was a blast and really got my adrenaline running. The first game I played the tractor beam/helm/shields position and the second game I played the Targeting/weapons position. Holy cow, is the TB/H/S position hard. I felt like I excelled in the second game though. I managed to deflect several incoming torpedoes. Great game and is now on the 'ole wishlist. This was suggested by some of our Space Cadets players since we already had 6 at the table. 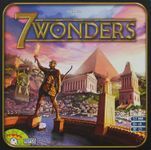 Every time I feel like I want to ditch my copy of 7 Wonders, it pulls me back in. Two good games and I wound up buying the Leaders expansion and the wonders pack. Now to actually get my copy to the table more often. This was definitely the 'epic' game of the con for me. We had a great mix of players. I was the "brains in a jar" and we played up until the final round. There were some dual alliances early on and then no cease fires came up for a long time. When they did, the table split into halves. 3 vs 3. The kicker was the shielding being destroyed on the second to last round for one of the key locations and then the armada stopping right on top. Denying my 3 player alliance the ability to win without kicking somebody out. It was a lot of fun and it ran about 3.5hrs. Not back considering how the game flows and the amount of instruction up front. Plus, we had to take a break for me to run over and submit my games for the consignment shop (~20m). The best part is that I now feel that I can teach this game to other players and I hope to get my copy to the table soon. After a few more games of NanoBot, I had a little bit of time to kill before I had to pick up my unsold games from the consignment shop (11 of 17 sold btw). So, I pulled out Martian Dice. I really dig this as a press your luck game, especially as a portable filler for moments like the one I had on Saturday. I do wish there was some form of score keeping included. Maybe I'll toss in some D12s to keep score and that should work except for large groups. 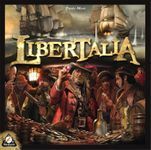 After the Math Trade wrapped up, Joe and I gave Libertalia a whirl. 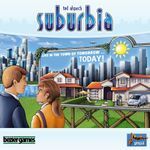 A good light/medium-light game with some bluff & memory elements to it. I'd like to see it with more players. We only got to play the game with three. My last game of the con. Joe and I gave this one a go before I departed. It had been languishing on my shelf for some time but I really wanted to play it since it had such a simple set of rules. I thought it was a lot of fun. 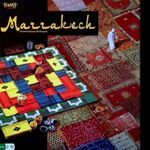 The two player rules of mixing up the two carpet colors keeps things interesting when you can stay relatively close to an area that one of your colors is prevalent. I will definitely be bringing this one out more often.